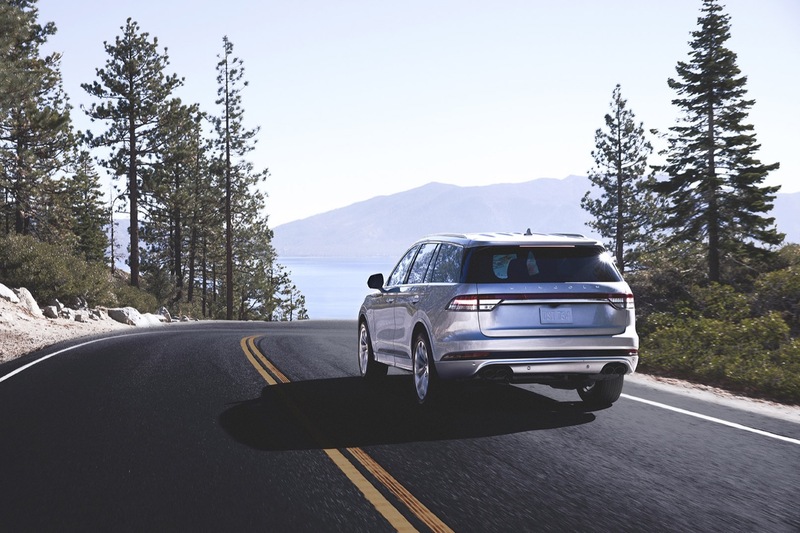 The 2020 Lincoln Aviator is an advanced product for Lincoln. With some of its best exterior and interior styling to date, a suite of advanced driver assist technologies and an available hybrid model with 600 lb-ft of torque on tap, the Aviator is a clear message from Lincoln that it’s no longer content pumping out average products and selling them at a bargain. One of the more impressive features on the Aviator is the Lincoln Drive Modes, which are used to adjust settings related to the steering, suspension and powertrain. On the hybrid Grand Touring model, the drive mode select system comes with seven drive modes: Normal, Conserve, Excite, Slippery, Deep Conditions, Pure EV and Preserve EV. That’s a lot of drive modes to know, especially for your average crossover consumer, so let’s go over them. Normal: this is for average driving. It will aim to offer a good balance between comfort and performance. Lincoln describes it as a “an effortless, balanced ride” that gives you access to the powertrain’s torque but ensures a softer, quiet ride. Conserve: conserve is for efficient driving, but on the hybrid model, it’s not the most efficient available drive mode. It will offer a better balance between performance efficiency than the more eco-focused drive modes, however. For standard models, this will be your only fuel-saving mode. Excite: this is what other automaker’s would probably call a “Sport” mode. 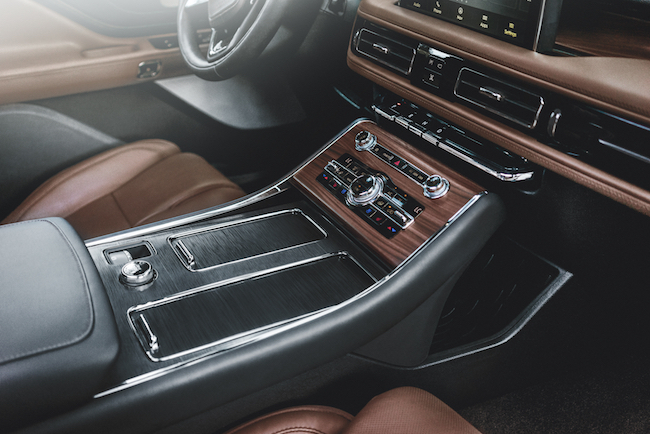 Lincoln says it’s for a “responsive, engaging ride.” In the Aviator Grand Touring, this mode will give you immediate access to all 450 hp and 600 lb-ft of torque on tap from the hybrid 3.0-liter twin-turbocharged V6. It will also allow more engine noise to penetrate into the cabin, sharpen up the steering and stiffen up the suspension. It will have a similar effect on non-hybrid Aviators, feature a 3.0-liter V6 making 400 hp and 400 lb-ft.
Slippery: this is for snow, ice, rain and other slippery conditions. Putting the Aviator in this drive mode will put the stability, traction control and all-wheel drive system on high-alert, working to give you more grip when the going gets slippery. Deep Conditions: Lincoln’s fancy name for a Snow mode is Deep Conditions. This will alert the vehicle that you are driving in relatively deep snow, calling upon the full ability of the traction, stability control and all-wheel drive system to help keep you on the road. Changes will also be made to the suspension and powertrain for ideal snow performance. Pure EV: this will tell the Aviator Grand Touring that you want to drive using only the vehicle’s electric drive system. You will need to ensure you have enough battery range to use this mode. Lincoln has yet to say how far the Aviator Grand Touring will be able to drive in Pure EV mode on a single charge. Preserve EV: this will tell the powertrain to preserve its electric charge for later. For example, you may want to use this mode if you were driving on the highway on your way into a city center. This would allow you to preserve your electric energy on the highway, when fuel usage is low anyway, and use more EV range in the city, where you would typically burn more fuel accelerating and slowing down at stoplights. Users can select which drive mode they want to be in using a rotary dial located in the center console area of the Aviator’s cabin. The drive mode select icons will appear on the Aviator’s standard 12.3-inch LCD instrument cluster, clearly displaying each mode to the driver so they do not have to take their eyes off the road entirely. The drive modes can also be changed on the fly, of course. 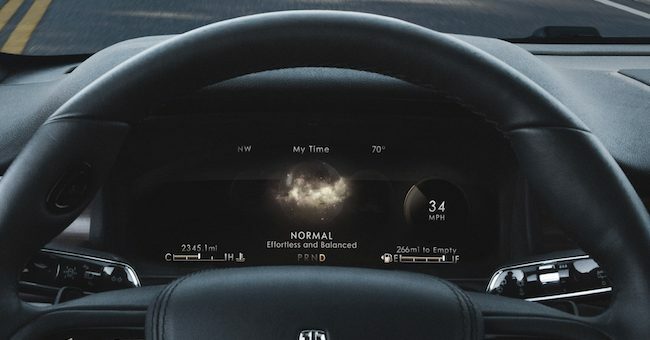 The Lincoln Drive Mode Select system is just one of many exciting features of the SUV that we plan to cover, so check back soon for more information on Lincoln’s latest. Exciting. I guess it is a lost cause, but if they would put the hybrid and other technology on the Continental that they are placing on the Aviator, it would have greater appeal. Hate to see it land on the trash heap. I agree with you. Although I understand the decision to move from cars, I always though the Continental was an 80% effort product. The proportions should’ve been more old school(longer hood, sloped back), it should’ve been RWD based, and it’s driving dynamics more varied. If anything, at the very least I can appreciate the Continental for heralding in a excitement that probably gave Ford the green light to invest in Lincoln at all. Had the Continental not connected with people, I doubt we’d have had the SUV we see here today.